Musings from Mount Helicon: First Draft of Memory's Curse—FINISHED. Late last summer, I put myself on the path to write a sequel to Task Force: Gaea—Finding Balance, and I actually had quite a few ideas for it already in my head (many of them I have used). I just knew I had more of a story to tell (and a third book is in the works, too!). It has been a grueling almost-year making sure I had all of my ideas lined up properly, and I started the process writing blurbs or scenes that I had pictured in my head, rather than writing from Ch. 1, Ch. 2, etc. The ideas just flowed from my addled brain more so in an erratic fashion. 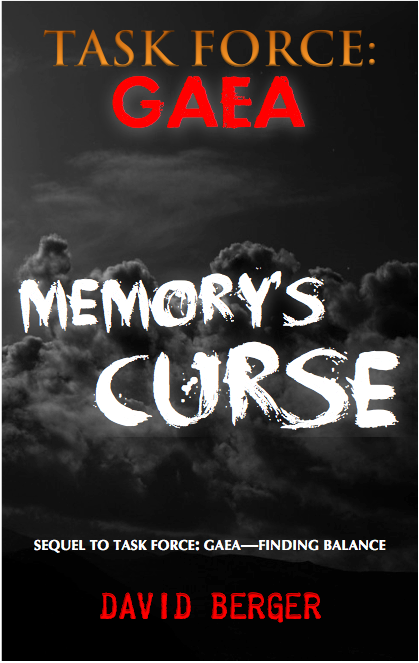 This could be a lengthy post about things you don't want to read about, but suffice to say, I have finished the first draft of Memory's Curse, and I eagerly want to dive into the editing, but I will leave the draft until work ends (I teach, and our school year ends June 6). That way, I'll have a little bit of a buffer between creativity and my mechanics. Writing a book in less than a year when the first one took almost 25 to publish astounds me, but I'm glad I didn't need a few decades to make this one work.